Eaze, the leading cannabis technology company, announced today an additional $27 million in Series B financing, led by Bailey Capital with participation from DCM Ventures, Kaya Ventures and FJ Labs. The latest round brings Eaze's total funding to $52 million. Eaze will use the financing for continued expansion throughout California and other states, to provide safe, convenient and professional access to legal marijuana. James Bailey has also joined the board of directors bringing relevant industry experience as an investor in PAX Labs and High Times. "An increasing number of Americans recognize that when used responsibly, marijuana can dramatically enhance their lives. Through our commitment to education, Eaze is playing a crucial role in the normalization of something that can unequivocally make life better," said Jim Patterson, CEO of Eaze. "With the legalization of adult use marijuana on the horizon, we look forward to using our data, technology and platform to continue to serve our mission of providing safe, secure access to marijuana products at the lowest prices with the utmost convenience." 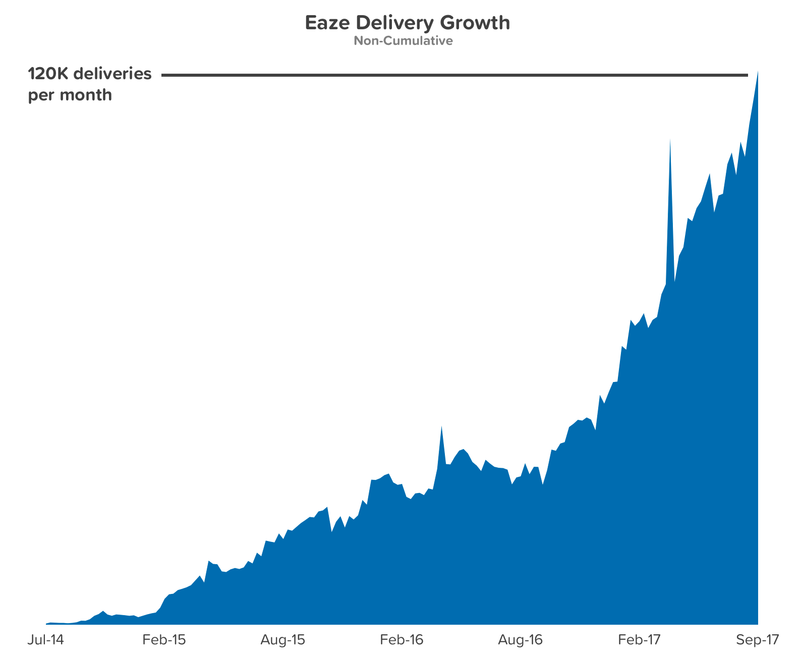 This announcement of additional capital comes at a time when Eaze has experienced rapid growth, seeing a 300% year-over-year increase in gross sales through its platform and now facilitating over 120,000 deliveries per month. 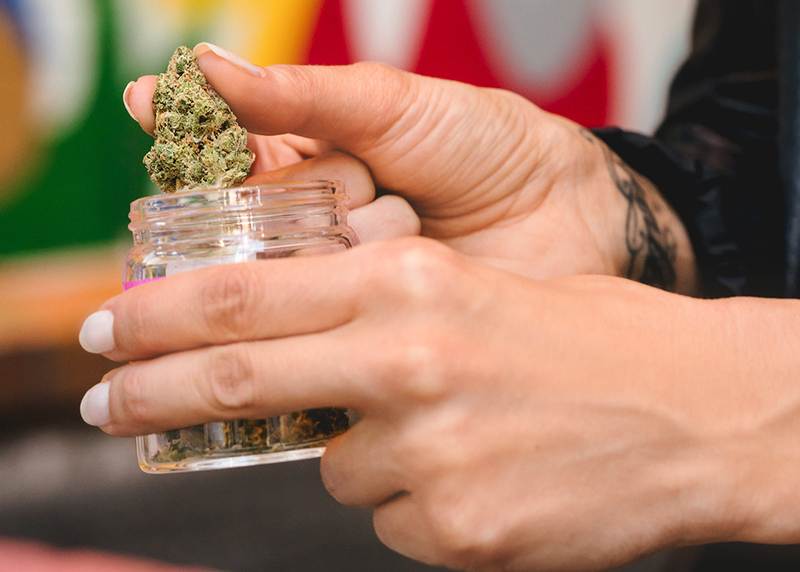 Launched in 2014, Eaze connects customers through its mobile app or website to delivery drivers from local, legal and compliant dispensaries in most major California cities. For patients in need of a medical marijuana recommendation, EazeMD connects California residents with independent, board-certified doctors to receive an evaluation on demand. "Eaze has transformed the way people legally access marijuana. Their focus on the customer experience through wide selection, competitive pricing, and fast delivery meets the demand of today's consumer," said James Bailey, Managing Partner of Bailey Capital. "As a tech company, Eaze is taking a stand in an industry negatively affected by the century long war on drugs and takes a proactive mission to make cannabis an industry of equality and opportunity. Eaze is poised to create more jobs and tax revenue than any other company in the industry." "Eaze is one of the strongest investment opportunities in the rapidly growing cannabis industry," said David Chao, General Partner of DCM Ventures. "I'm proud to have been investing in Eaze since the seed round and am excited to help Eaze take the next step in expanding the business to new markets." The cannabis industry has seen incredible growth in the last year, with medical marijuana now legal in 29 states and the District of Columbia. The industry has seen over $6 billion in revenue and over 100,000 jobs created, resulting in $1 billion in taxes. In California, with Proposition 64 and the promise of an adult use market, the excitement and growth potential is even higher. Eaze is leveraging the momentum to continue to help educate regulators and offer customers both choice and convenience. Eaze, the leading cannabis technology company, is on a mission to help people enjoy the moment through convenient access to high quality marijuana products. Founded in 2014, the company's technology enables superior customer choice and convenience by connecting product brands, dispensaries and doctors to customers on demand. 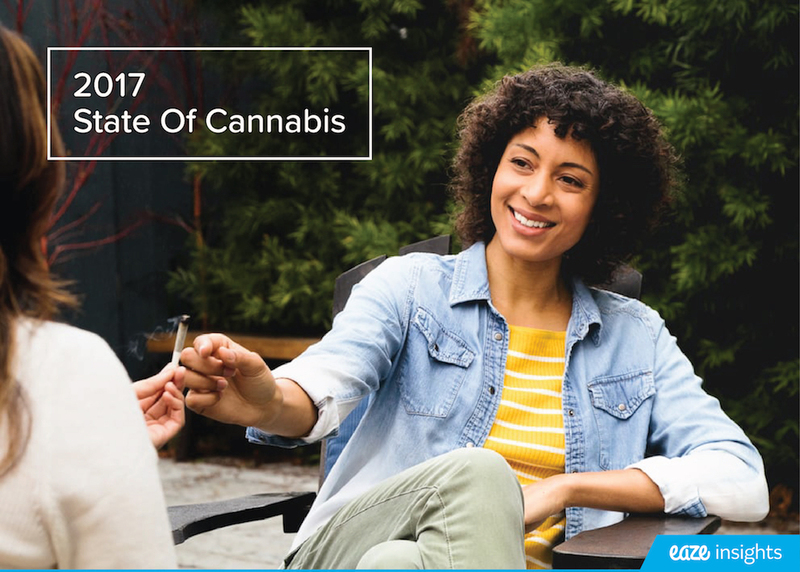 With over 300,000 users in California, Eaze has unprecedented access to big data regarding cannabis market trends and consumer preferences which it shares with industry and media partners through its Eaze Insights Program. Learn more at www.eaze.com. Bailey Capital was founded in 2015 to back exceptional and brave teams pioneering frontier industries. Since our founding we have taken a long-term approach to investing in technology, media and entertainment and brands and have made investments across the cannabis value chain.